Diamond, Borazon Grinding Pins target precision ID applications. Available on carbide shank for strength and precision, Micro Diamond and Borazon Grinding Pins are suited for extremely small precision ID grinding. Working ends are coated with Diamond or Borazon; 500/600 grit is used on 0.016 dia model and 325/400 grit is used on 0.020 and 0.024 in.Â dia models. In addition to ceramics and electronics industries, applications in other industries include mold, tool, and die making. 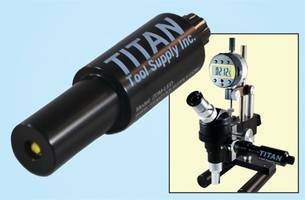 Titan Tool Supply, Inc., Buffalo, New York announces the introduction of a line of Micro Diamond and Borazon Grinding Pins designed to meet an increasing demand for extremely small precision ID grinding. 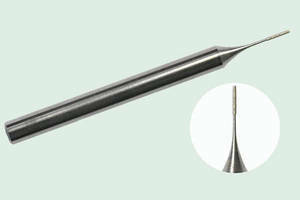 The grinding pins, starting at a 0.016” diameter, are on a carbide shank which provides extra strength and precision. The working ends of the pins are coated with either Diamond or Borazon, using a 500/600 grit on the 0.016” diameter model and 325/400 grit on the 0.020” and 0.024” diameters. According to Titan’s President, Frank Menza, “We have been receiving more demands from our regular Micro Finishing Tool customers, especially in the ceramics and electronics industries, for grinding pins that can be used in very small openings”. 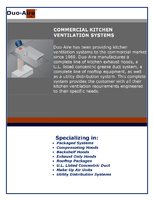 He expects to find applications in other industries such as mold, tool and die making. 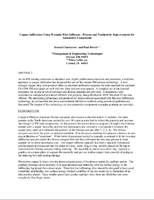 Frank Menza, President, Titan Tool Supply,Inc. ANSER LED Gooseneck Lamp comes with built in smooth dimming control. Titan's Omni HD Digital Microscope features GUI. 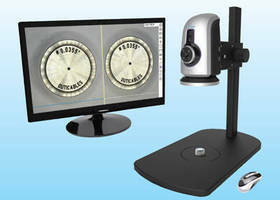 Digital 2D Microscope operates without PC.